So, somewhere, I saw this mani and I put my own twist on it. I did kind of a wacky French mani with China Glaze’s For Audrey, with a white strip for the French tip. 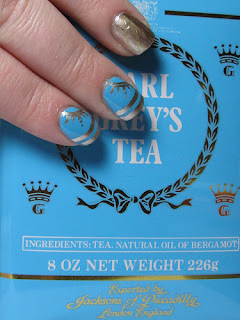 Like I said, I saw the mani above and wanted to do something like it with my own idea to it and I was looking through my stamping plates and decided on the bow. It was small and delicate, and I liked that. Red Angel plate number 121 with white polish. I did the bow higher on the other hand but I like it right on the line so much better. It seems cleaner. Less messy, if that makes sense.